Wij gaan een mooie Advent Calendar maken. Wat is een Advent Calendar? 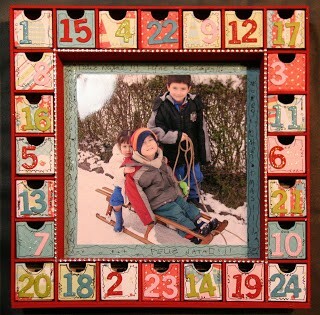 An Advent calendar is a special calendar used to count or celebrate the days in anticipation of Christmas. Since the date of the first Sunday of Advent varies, falling between November 27 and December 3 inclusive, the Advent calendar usually begins on December 1, although many include the previous few days that are part of the season. The Advent calendar was first used by German Lutherans in the 19th and 20th centuries but is now ubiquitous among adherents of many Protestant denominations. Glue, sandpaper are available for use during the workshop.